Hi! Welcome to the Kangaroo’s class page! Your easy access to everything you need to know about what we are learning. Please visit as much as you can and ask as many questions as you need to. I will get back to you as soon as possible! 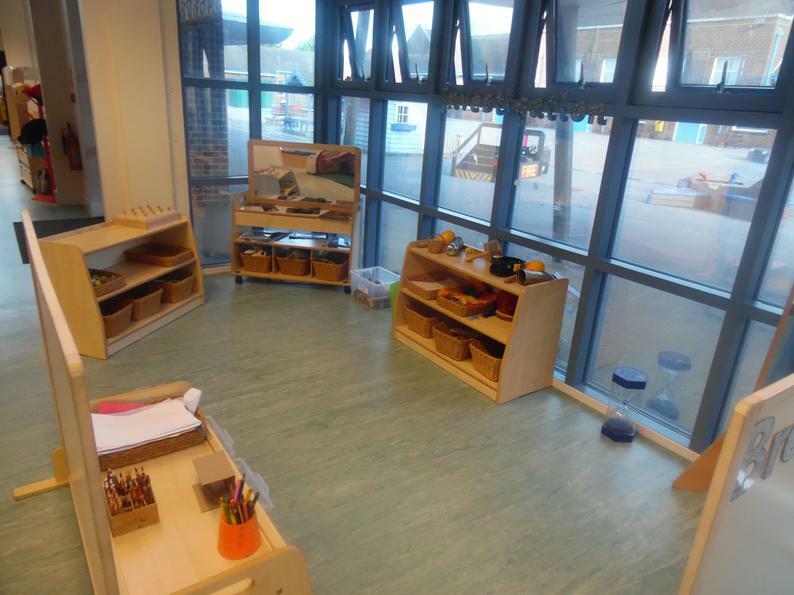 It is important to come into school every single day so we can make the very best progress we can and get the most out of our learning! 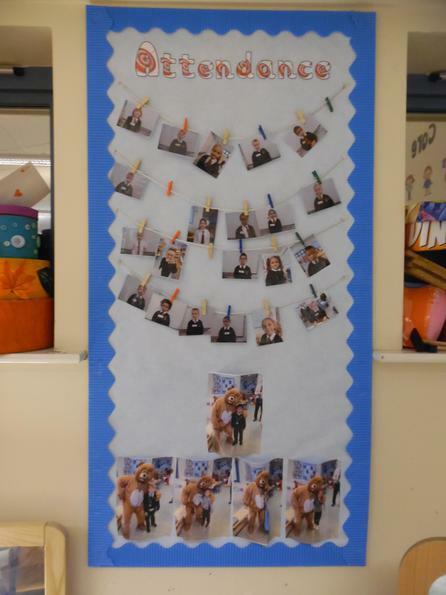 Having high attendance makes our teachers, helpers and attendance Ted very happy! This is Miss Clark. She is the teacher in the Kangaroos class! 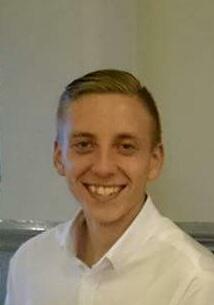 This is Mr Abrahams. He is the TA in Kangaroo class. 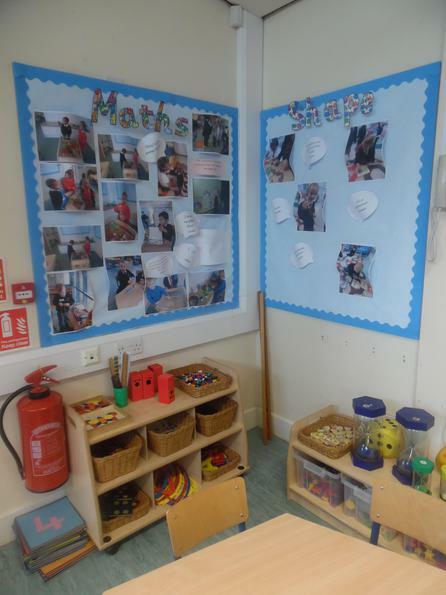 We have updated our classroom! Lets have a look around! During term 4 we are taking a journey through the much loved world, created by our favourite children’s author, Julia Donaldson. 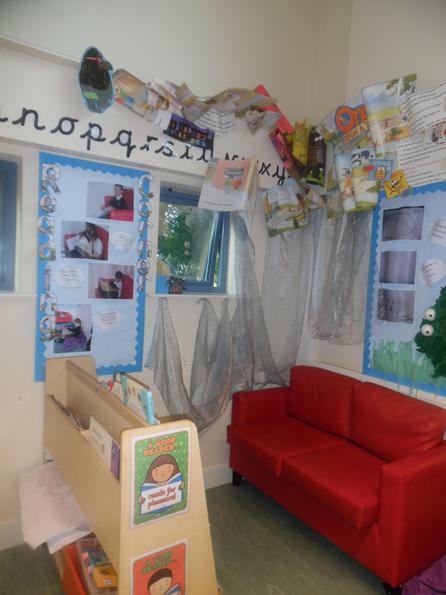 The EYFS team is excited to be exploring the unique rhyming stories that Julia Donaldson creates by bringing them to life through the exciting learning activities created by the EYFS staff. Take some time to share some of these stories with you child at bed time and consider playing silly rhyming games to explore new vocabulary or even create your own rhyming story to share with the class and add to our school website and you-tube page! 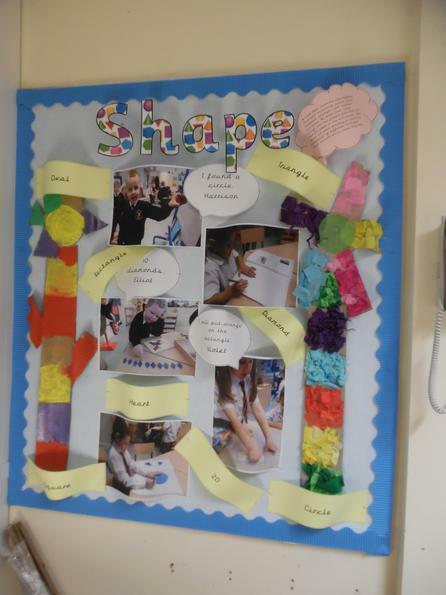 Over the last few weeks we have explored different mathematical concepts such as length, shape and calculation. 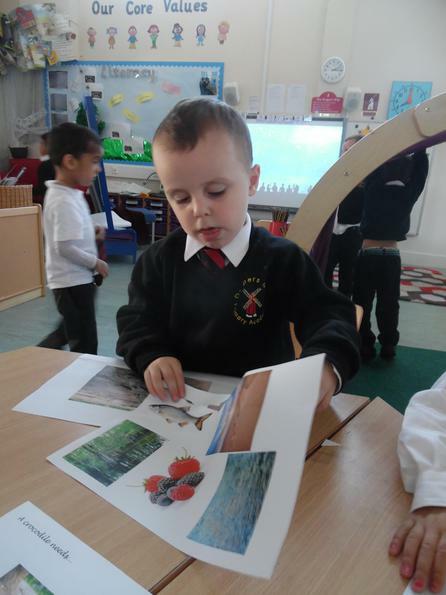 We have used the characters of the stories to explore different sizes and ordering them from small to big; encouraging the children to use appropriate vocabulary. 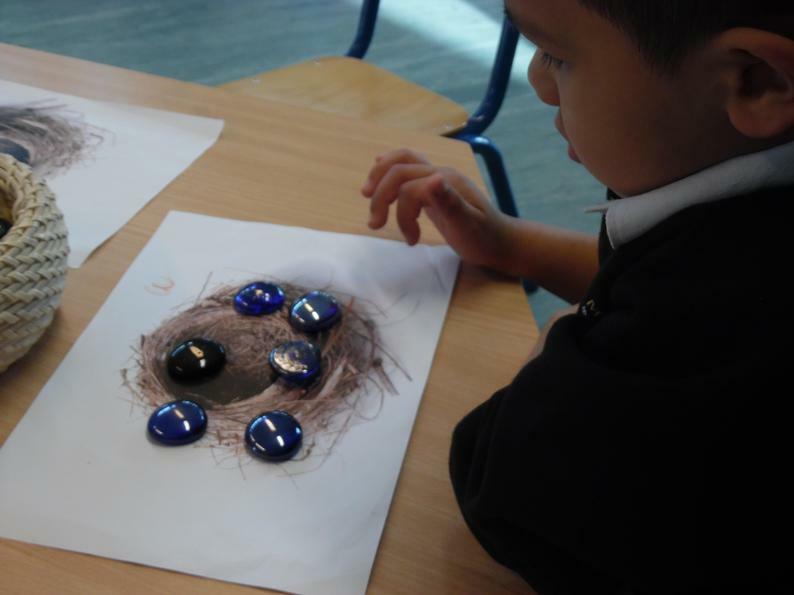 Zog’s eggstravaganza…The children have been learning about calculation by finding Zog’s dragon eggs. The children enjoyed finding two sets and then working out how many they have altogether. Where in the world is Miss Clarke?! We love our Bat Cave! 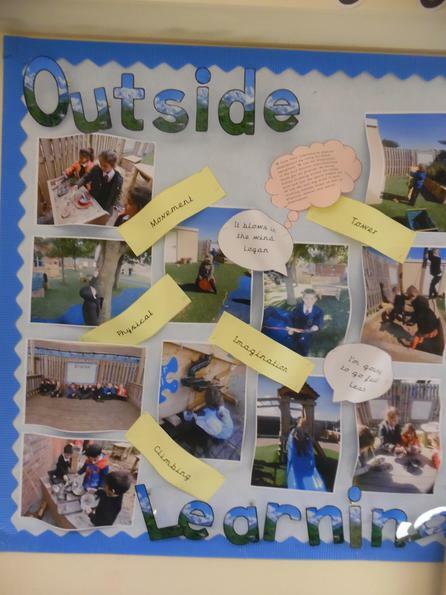 We know how important it is that we have a rich, accessible learning environment. 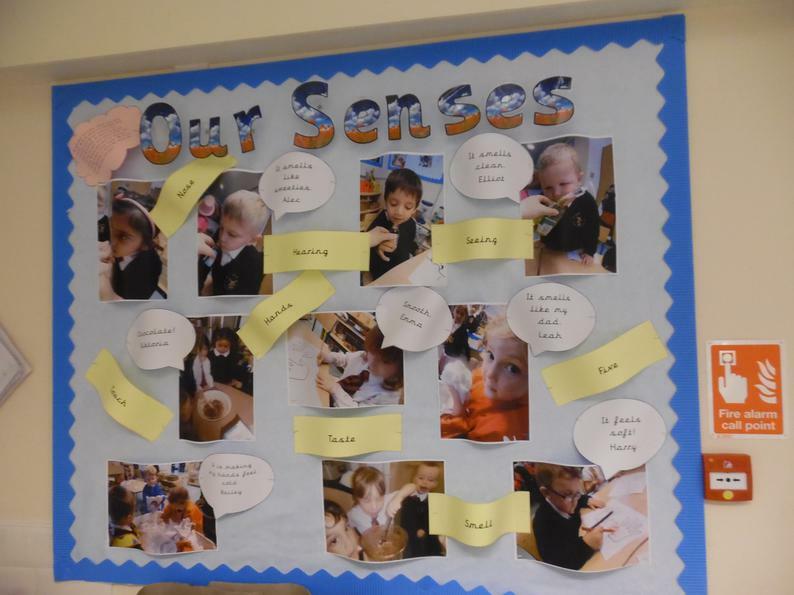 This means that our classroom is full of interesting things to support our children's learning. 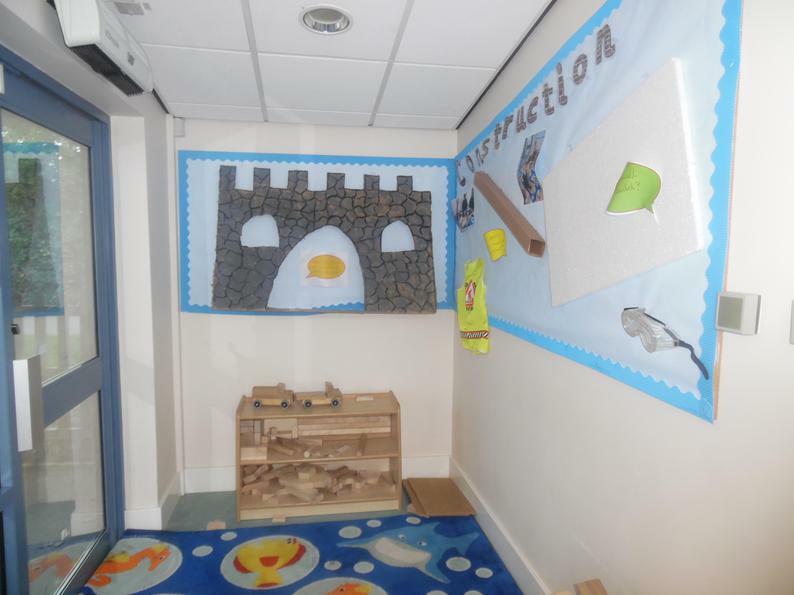 In reception our displays are always 3D and are used to show the progress made by our children. 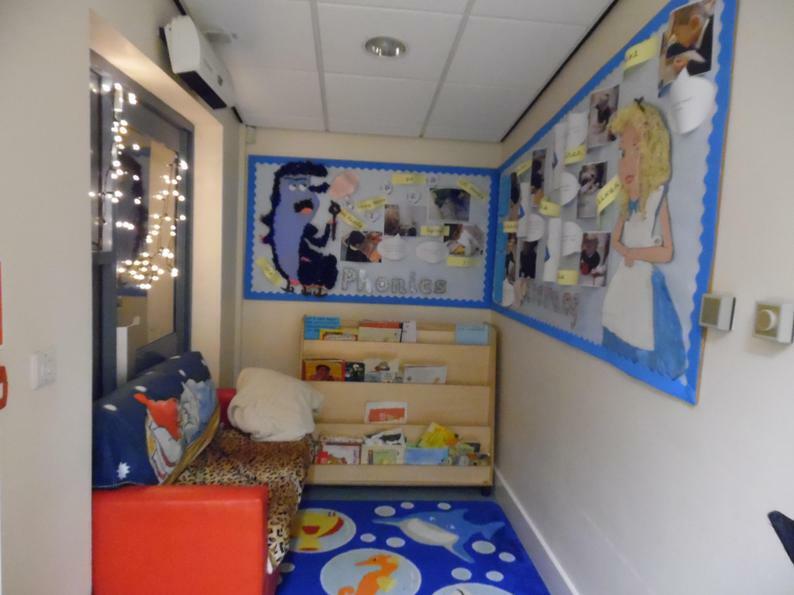 This is achieved through pictures of the children learning and quotes from the children (found in the speech bubbles). Anything written on pink paper is an explanation from me about what the display is based around and anything on yellow are key words, also selected by me. 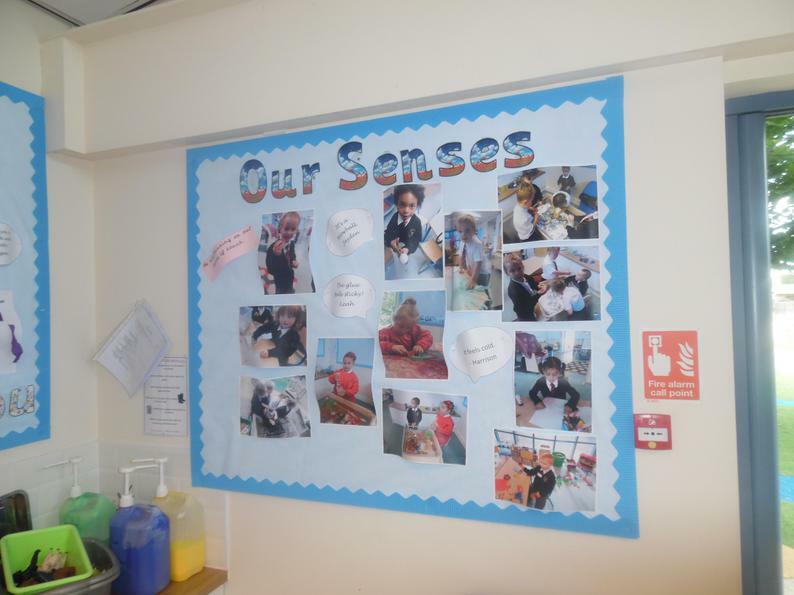 Our classroom is updated regularly to reflect our learning. So, please, have a look around Kangaroo class. WE HAVE AMAZING NEWS TODAY. Another hard-working Kangaroo has made it to the Windmill! Logan has been working very hard on his counting and today managed to count 10 objects independently! We are very proud. Well done Logan! 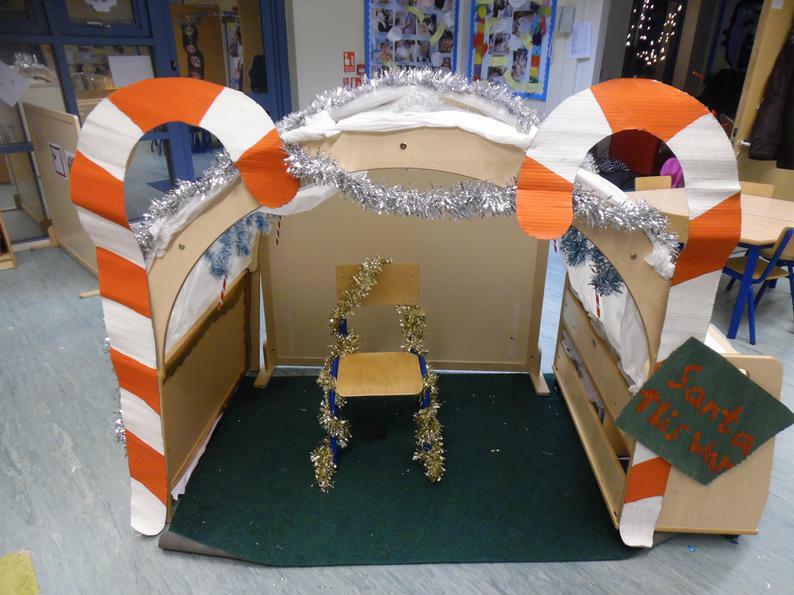 It is our Nativity tomorrow at 9.30 in the small hall! PLEASE do your best to attend. 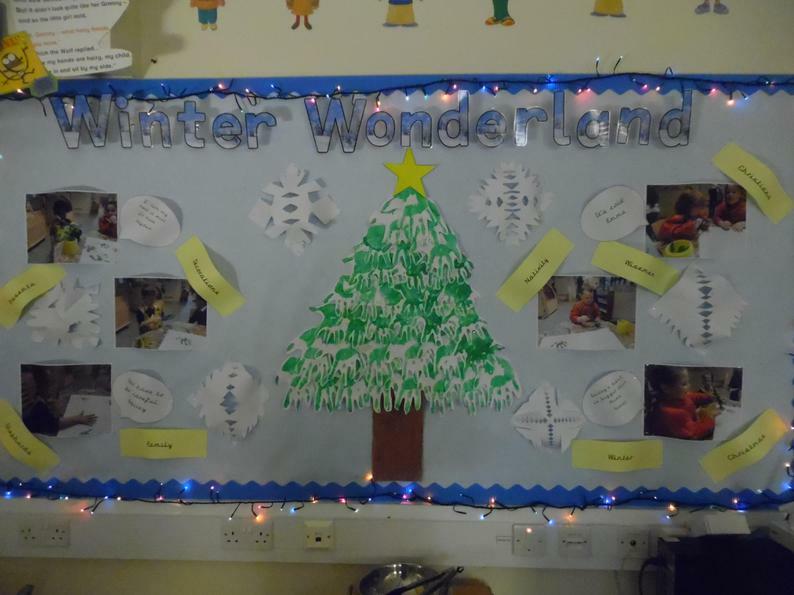 The children have all been working really hard to make this special for everyone. We are so good at our phonics song now that Mr Abrahams and I decided to film the children performing one of our sounds of the week. Look how well we did! A big thank you to all of the parent's who came to see me at parent's evening. It was really nice for me to get to sit down and talk to you about all the progress your Kangaroo has been making this term. If you ever have any concerns or questions please come and find me! WOW! 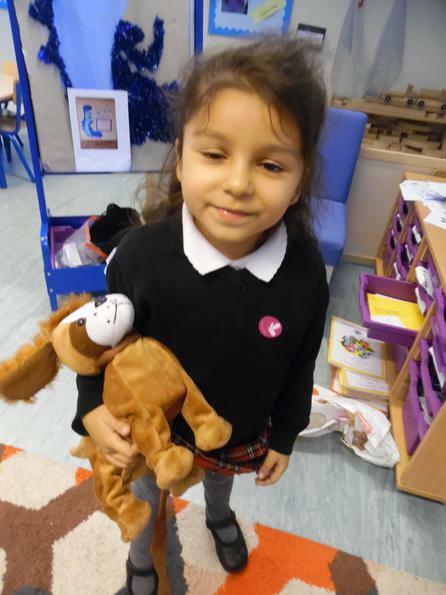 We have our third Kangaroo to reach the Windmill! 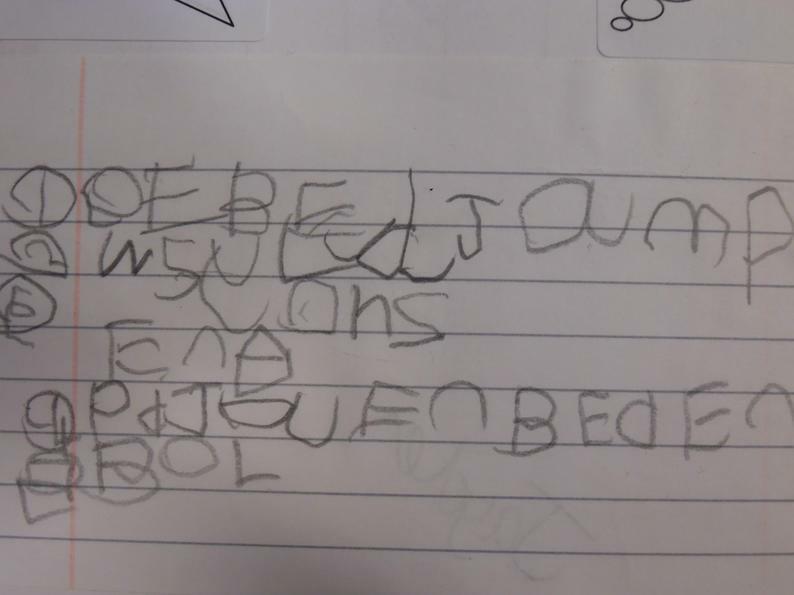 This Kangaroo has been working really hard to write her name independently and today, she did it! I am so proud of her for not giving up! Well done for showing such endeavour! Hello! Just a reminder about returning parent's evening letters! Parent's evening will be held on the 9th and 10th of November so please get your letters back to me as soon as possible so I can make sure you get a convenient appointment. Looking forward to seeing you then! 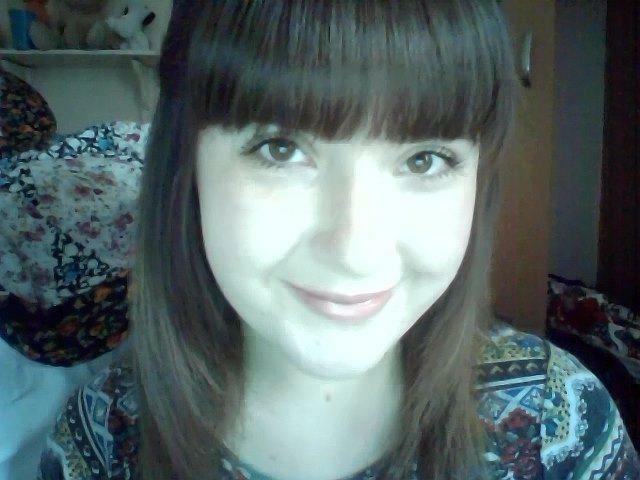 Just a message to say I hope you all had a wonderful half term and got lots of rest! We have a lot of exciting work to do this term and I can't wait to see you all and get started! 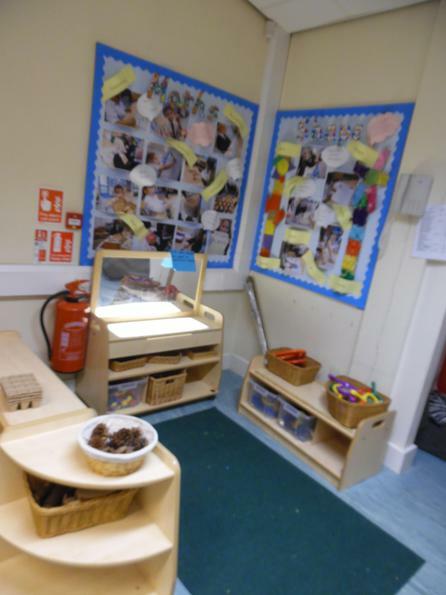 15/10/15 WE HAVE BIG NEWS IN KANGAROO CLASS TODAY! 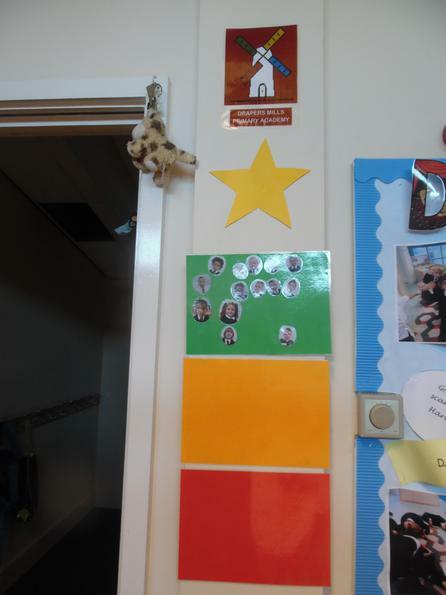 Today for the FIRST time this term one of our Kangaroos reached the Windmill - the top level on our behaviour chart. I am so proud of this Kangaroo for working so hard on his letter formation. He kept trying over and over to get it right, and, every time he tried his "d" got a little bit better. He made amazing progress because he did not give up! Mr Abrahams and I are very, very pleased. Well done for making it to the Windmill, you deserve it! We have two wonderful Kangaroos on the star today. Well done to Nikolas and Bailey! 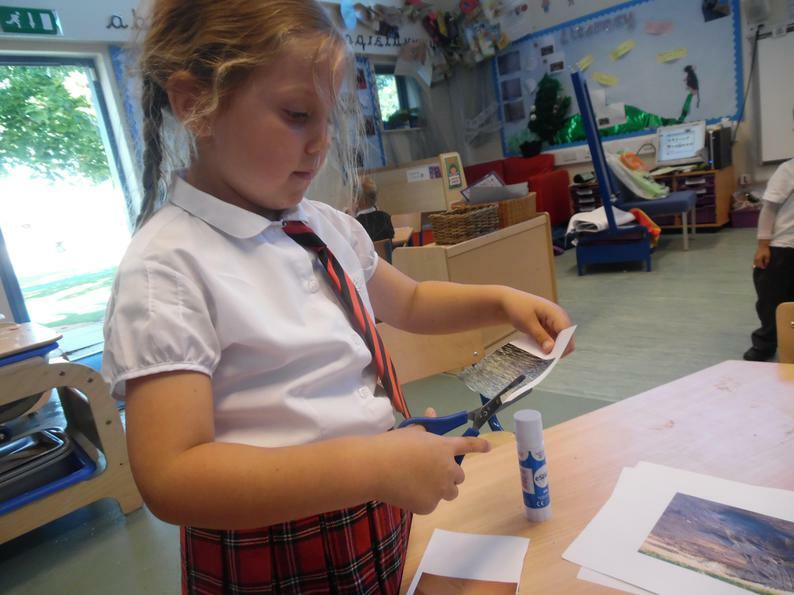 This week we invited our grown-ups into school for the afternoon to help us do some activities. 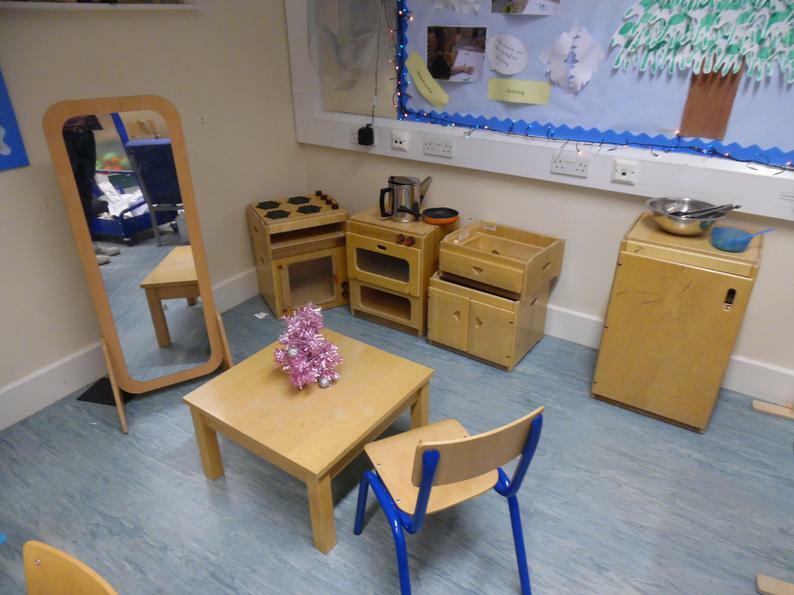 We had lots of exciting things to do including: making white rabbit masks, going on a white rabbit hunt outside, making salt-dough jam tarts for the Queen of hearts and searching for sounds in a sensory tray full of shrinking potion. 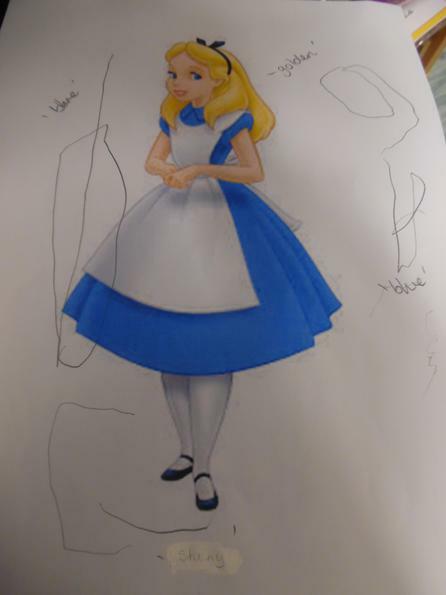 We also had our grown-ups help us to make a mad hatters hat for the party as our homework. We all looked incredible. Well done to everyone for making such an effort. 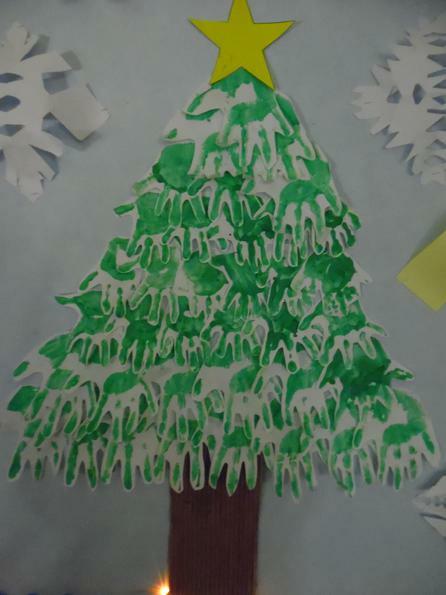 Thank you so much to all the grown-ups who came in to help us with the afternoon, we all had a lovely time. 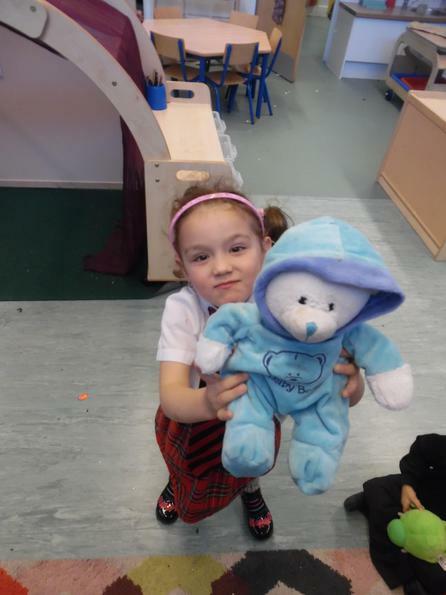 Today the children were allowed to bring their teddy into school with a £1 donation to Children in Need. 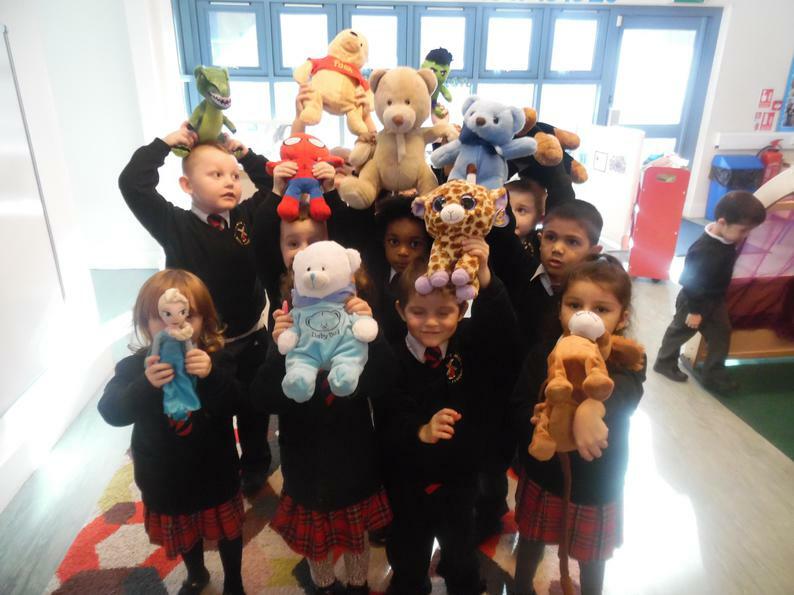 Kangaroo class had a wonderful time sitting with their teddies on the carpet and talking about their teddies to their friends. 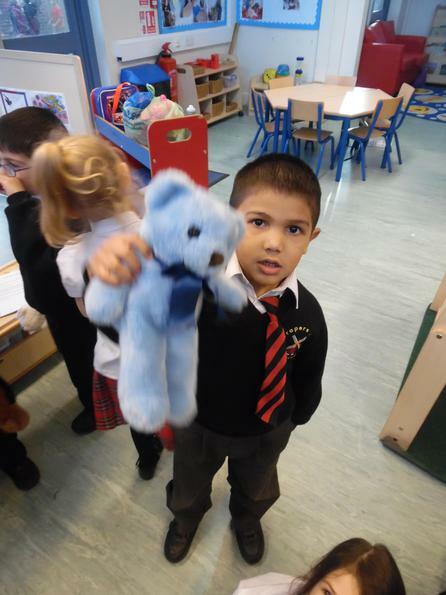 We even had a circle time when every Kangaroo got to tell us the name of their teddy and what their teddy likes to do! "Dog likes playing outside." "Spiderman likes jumping on my bed." 1) NEVER play with fireworks. 2) ONLY a grown up can light a firework. 3) NEVER return to a firework that has not gone off. 4) ALWAYS wear gloves when using a sparkler and have a bucket of water nearby. 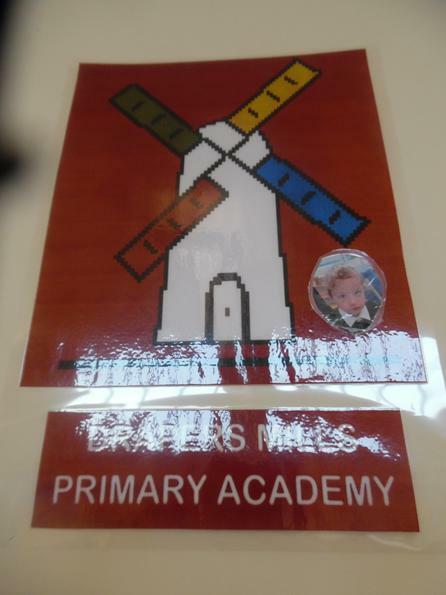 Kangaroo class were lucky enough to go and visit the Windmill this afternoon! 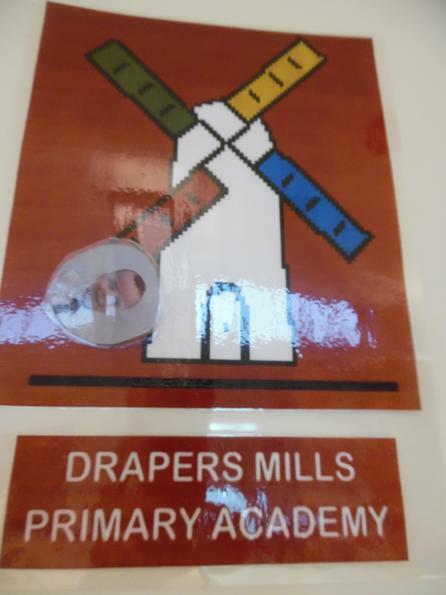 We were told all about how the windmill works. Now we know that a windmill is used to grind corn into flour! We went on this special visit to support our Literacy work this week as we are reading "Little Red Hen". 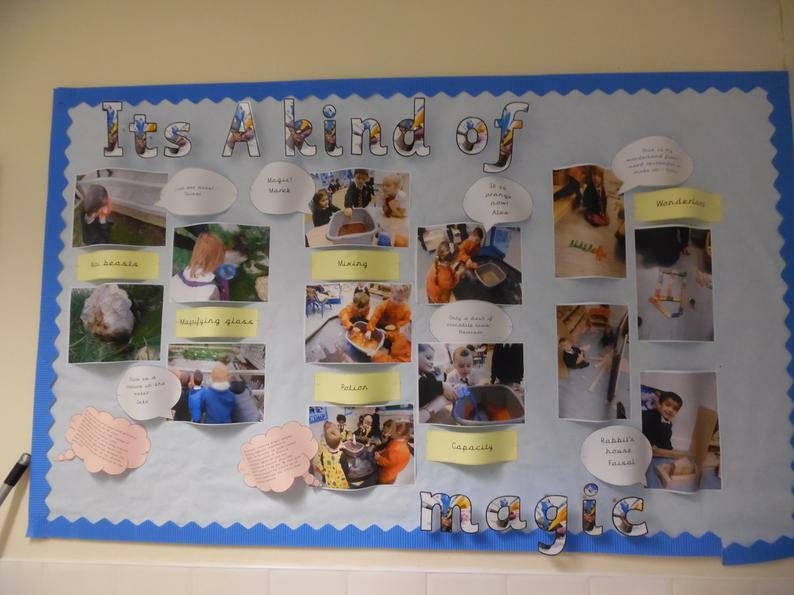 On Wednesday the 23rd we invited our parents in to take part in our "Weave the Magic" afternoon. During this afternoon we got a phone call from the zoo warning us about Charlie - the escaped crocodile. Luckily we had our class, and some of our parents, on hand to help us answer the question "How do we catch a crocodile?". 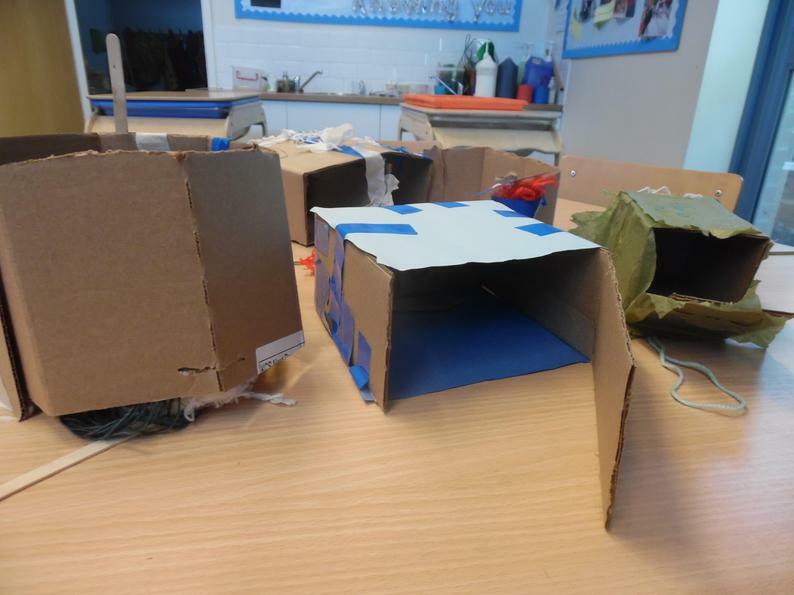 We all had a great afternoon building traps that we could use to catch Charlie. Thanks to all the parents who came to help and well done to all the Kangaroos for successfully catching Charlie the crocodile! You were all very brave! 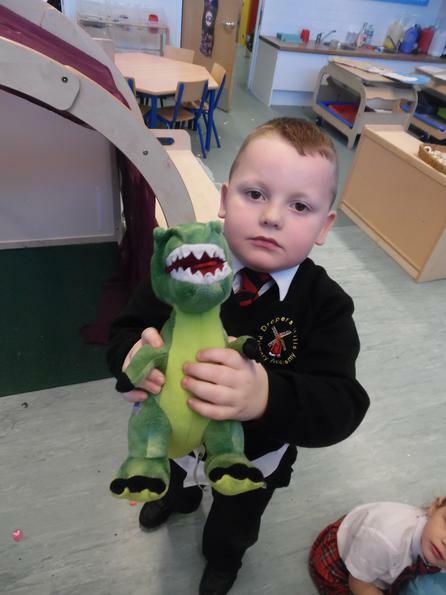 The zoo have been in touch again this week during our topic work asking for advice on how to look after Charlie the crocodile so that he does not run away again. With help from the Kangaroos the zoo now knows that crocodiles need a warm swamp to live in, fish to eat and water to drink! Here are some of the Kangaroos making decisions about what Charlie the crocodile needs to be happy and healthy. 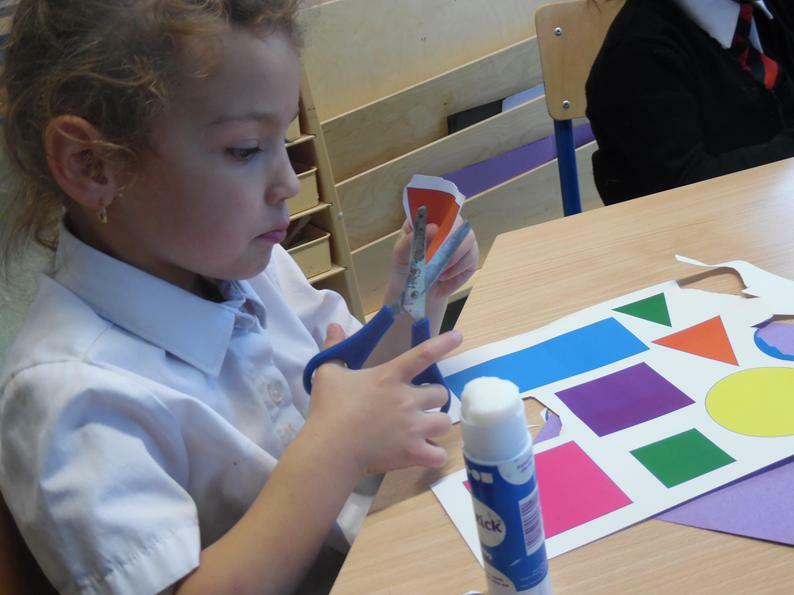 We have even tried to make Charlie out of the shapes we have been focusing on this week. This term we have started our exciting new topic "I need a hero". 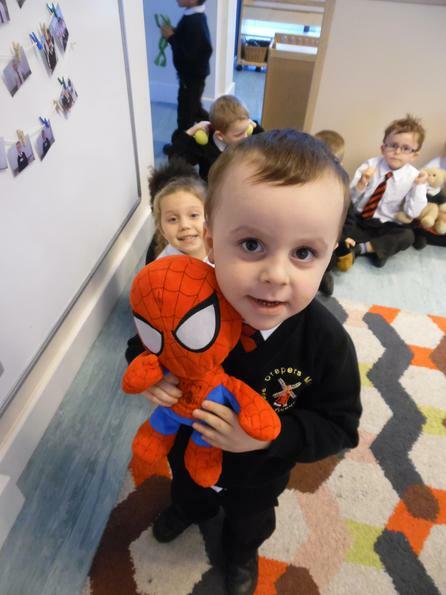 We will be looking at our favourite Superheroes (including Spiderman, Batman, Hulk and Captain America) to encourage children to use lots of wonderful adjectives in their communication as well as their writing. We will discuss what the heroes look like, what their personalities are like and what kind of powers they have. 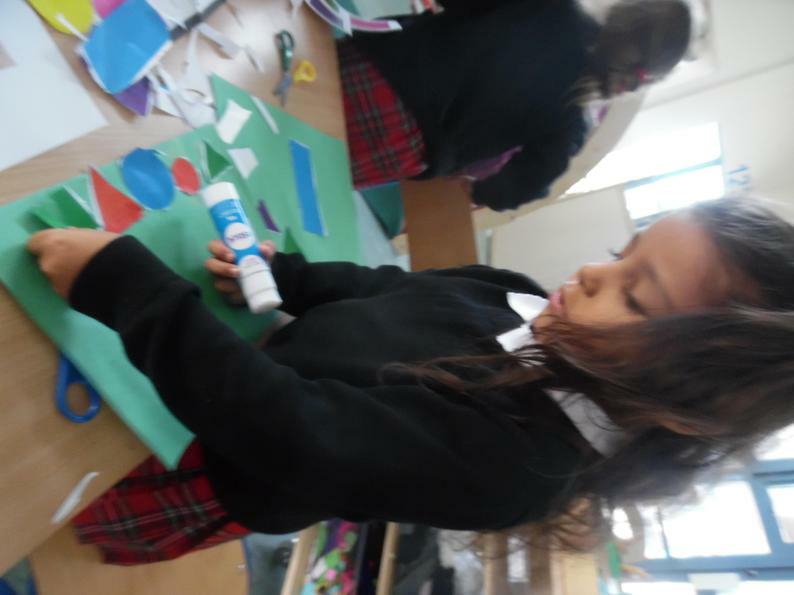 Eventually we are aiming to allow the children to create heroes of their own! 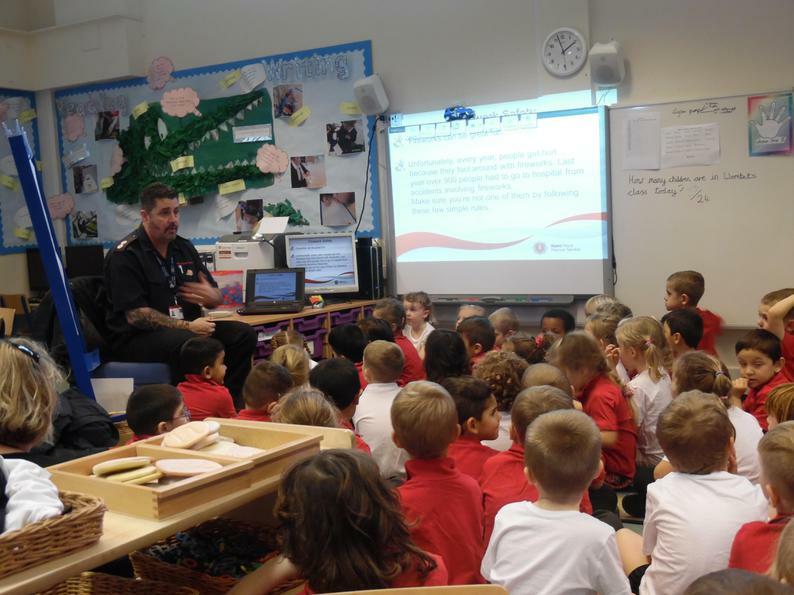 We will also be looking at everyday heroes like the police force, fire fighters, Drs and nurses, parents and teachers. This will lead us into thinking about our community and making links between the characteristics of our heroes and our school values at Drapers Mill (such as respect, friendship and leadership). We are all very excited to get started! This week we used numicon to build a number line! We counted each piece of numicon very carefully and tried to make the link between counting and how the numbers look. This week we went outside and tried to find one less than a given number by jumping up and down a number line. The children are starting to remember that when we find one less the numbers get smaller and when we find one more the numbers get higher. This week we have been working on finding one more than a given number. We started by counting numicon of different values and adding one more to it. We also looked at this process on a 100 square and practised jumping forwards to add one. After this we used the interactive whiteboard to play the splat game. I gave the children a number and they independently found one more. They were very good at it! This week we have focused on learning some more about subtraction! Kangaroos got to throw 5 'spiders' at Spiderman's web and take away however many landed on it. For example, if 3 spiders landed on the we the Kangaroo did 5 - 3 = 2. We wrote out the question on a whiteboard and used our fingers to help solve it.The children did very well and can now recognise a take away symbol! This week the children have been looking at clocks and trying to tell time to o'clock. 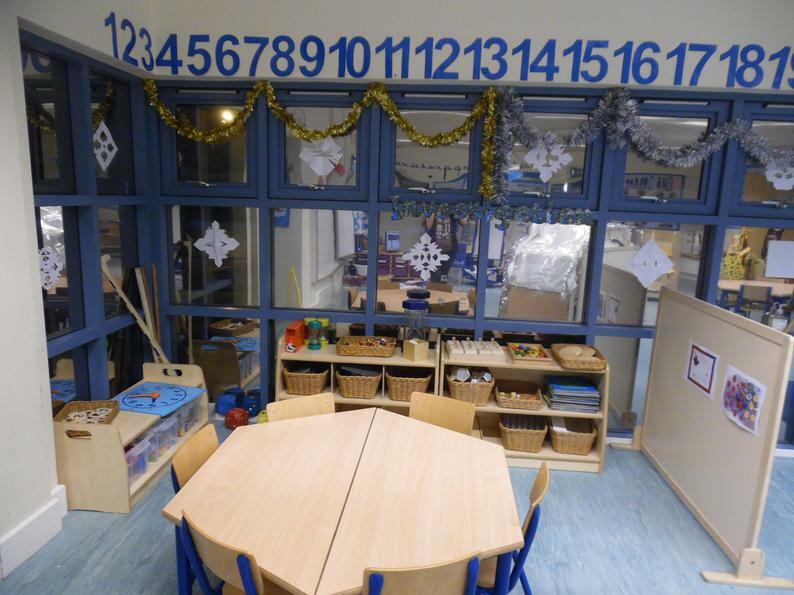 For some children this was a challenge to recognise the numbers from 1-12, others were extended to tell the time to o'clock or even half past! Many children did this successfully. Well done Kangaroos. This week we have been focusing on capacity. 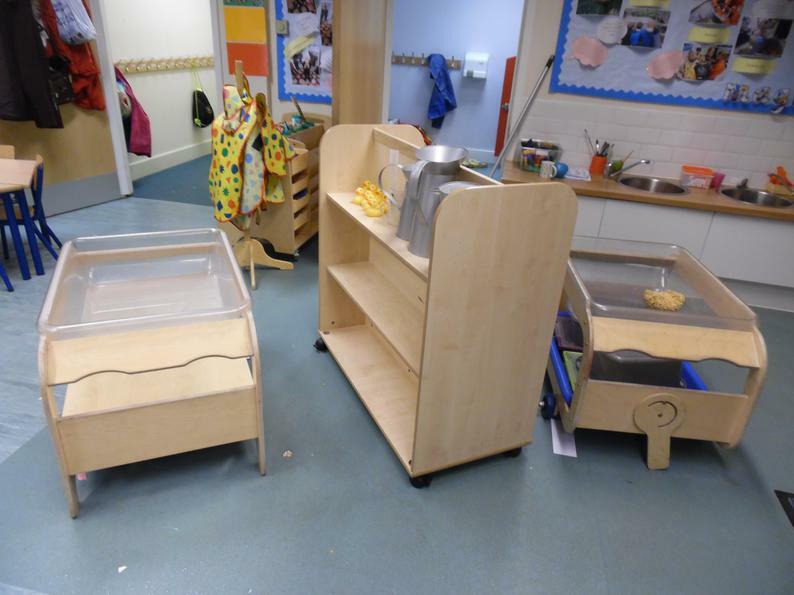 The children have been exploring the terms "full" and "empty" by filling and emptying containers in the water tray. Some of the Kangaroos are starting to use terms such as "half-full" and "half-empty" which is amazing! This week we have been learning about size order. We have been trying to use the words "big" and "small" correctly and use this language to help us to categorise objects. We even tried to put three objects in size order and los of our Kangaroos were very successful! Here are some of the Kangaroos ordering their objects from biggest to smallest. For the last two weeks the children have been practising counting to 10. Every day we focus on a new number and learn about that number through a story. 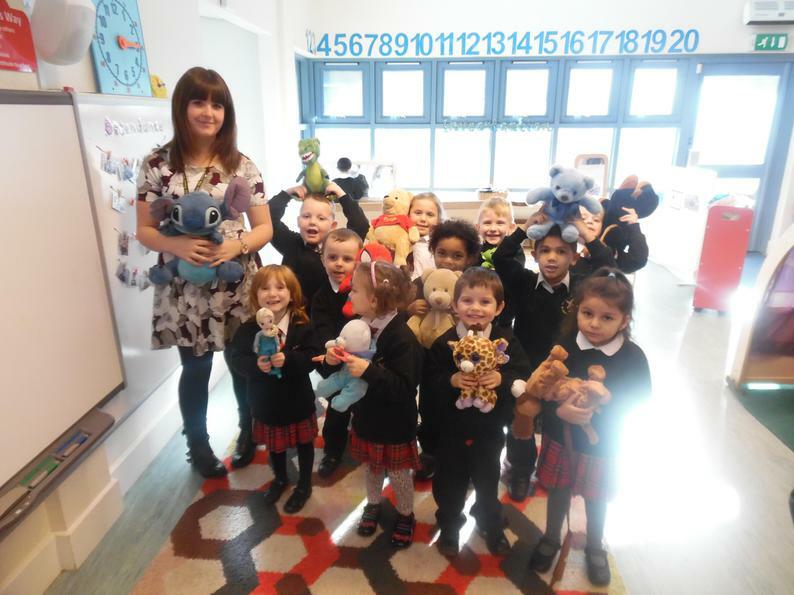 The story helps to teach the children to count to a specific number and how to form each of those numbers. The stories provide helpful reminders about number formation which may be helpful for children who are struggling with this. 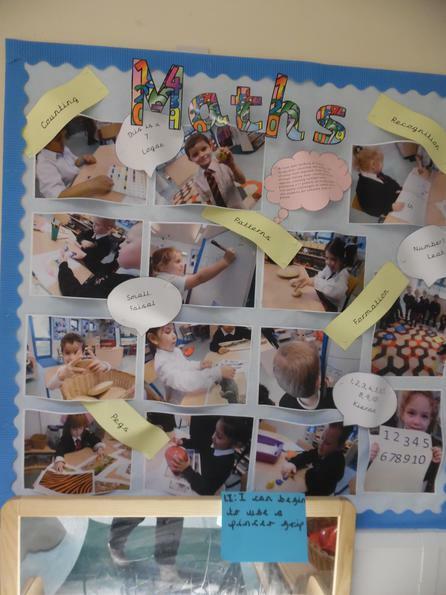 Kangaroo class have been doing very well and have created lots of wonderful art by forming the numbers between 1-10. In Maths this week we have been focusing on the numbers 1 -10. We have been reciting them, counting objects and writing the numbers too! 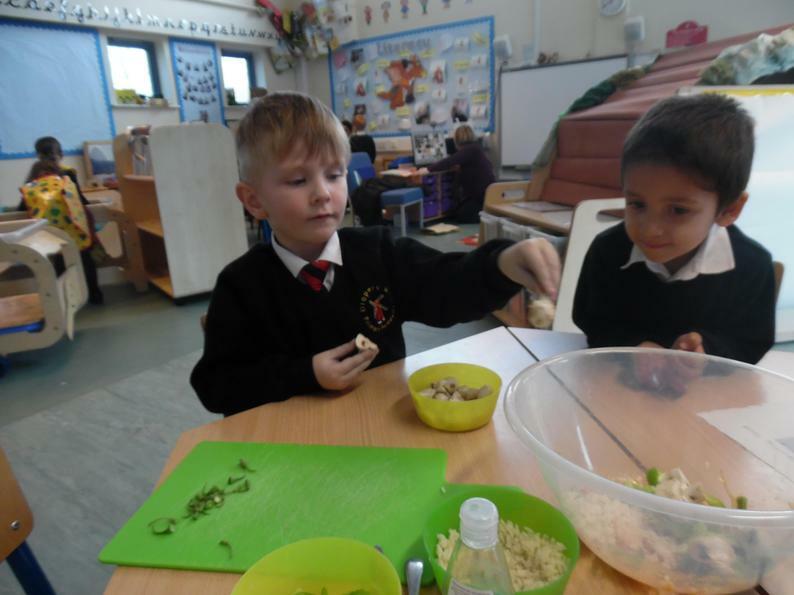 Our focus activity of the week involved feeding a hungry crocodile - we know from our contact with Charlie that crocodiles eat fish. 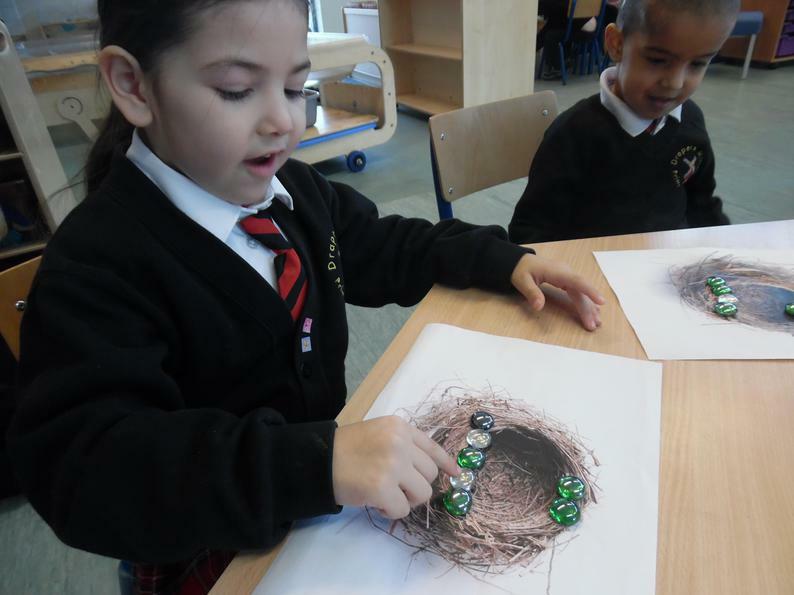 The children had to roll a dice to see how many fish Charlie wanted to eat, collect the fish for him, glue them down and use them to create a number line. 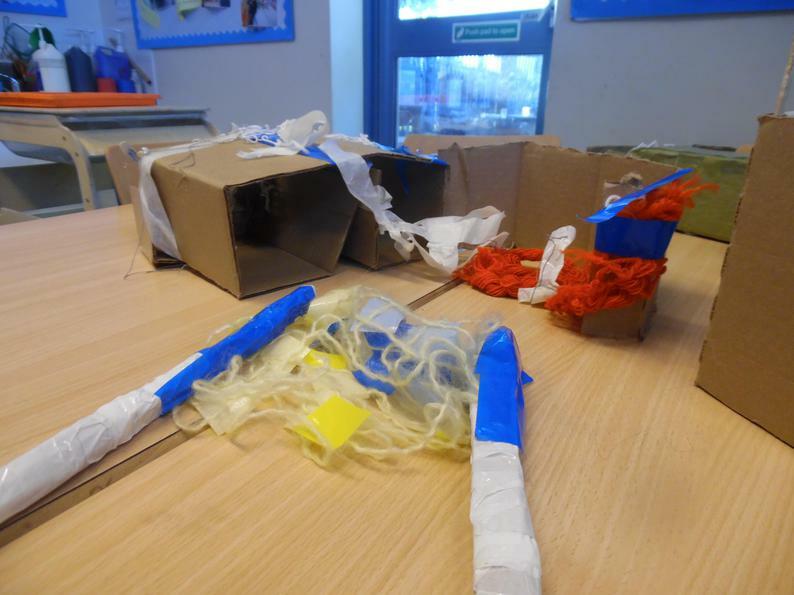 Mr Abrahams and I were very impressed with how hard all the children worked on this activity. Look how well they did! 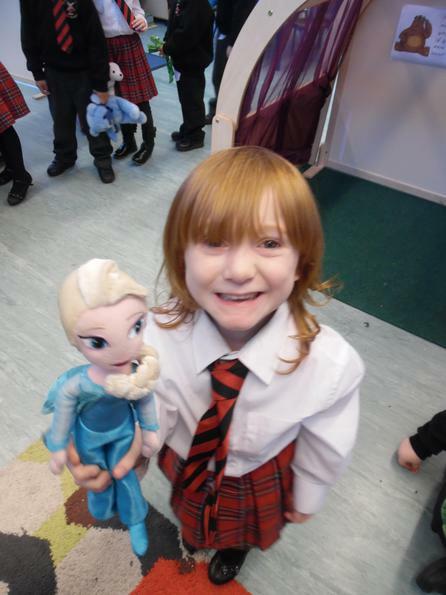 This week the children have read Jack and the beanstalk. We listened to the story through song. We really enjoyed singing along! 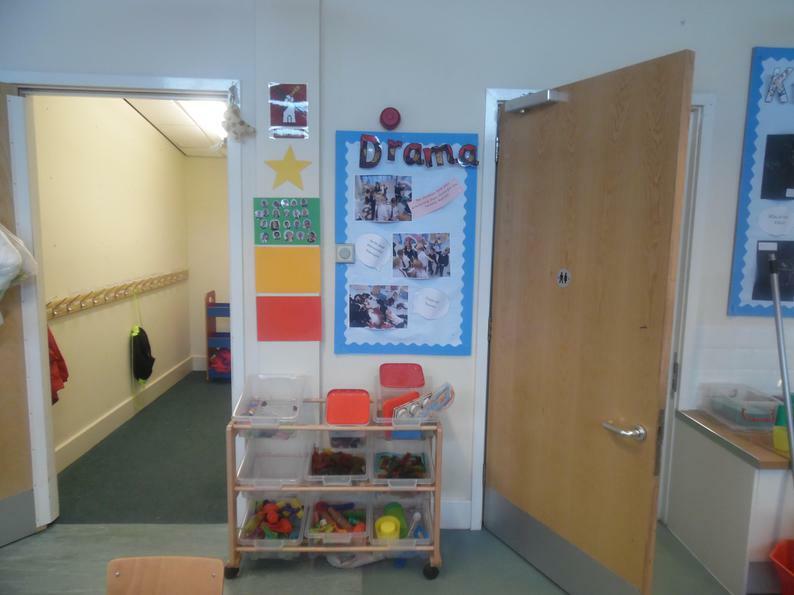 The children helped to create a story map which we added actions to. This really helped us to remember the story! Some of the children wrote a story map independently. 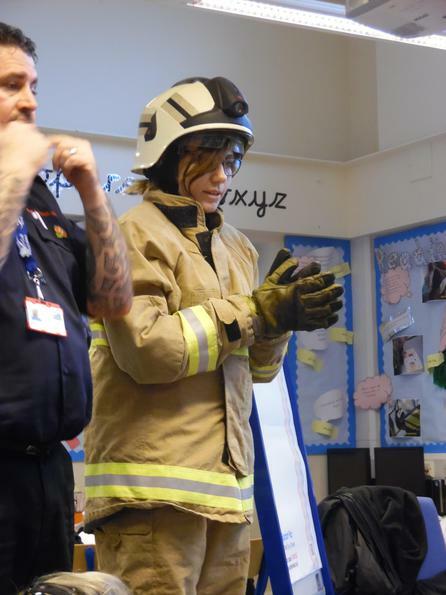 The focus activity this week was based on firefighters. The children wrote some key words about firefighters on their white boards. This week we have been reading another traditional tale. We created a story map and added actions to help us remember the story. 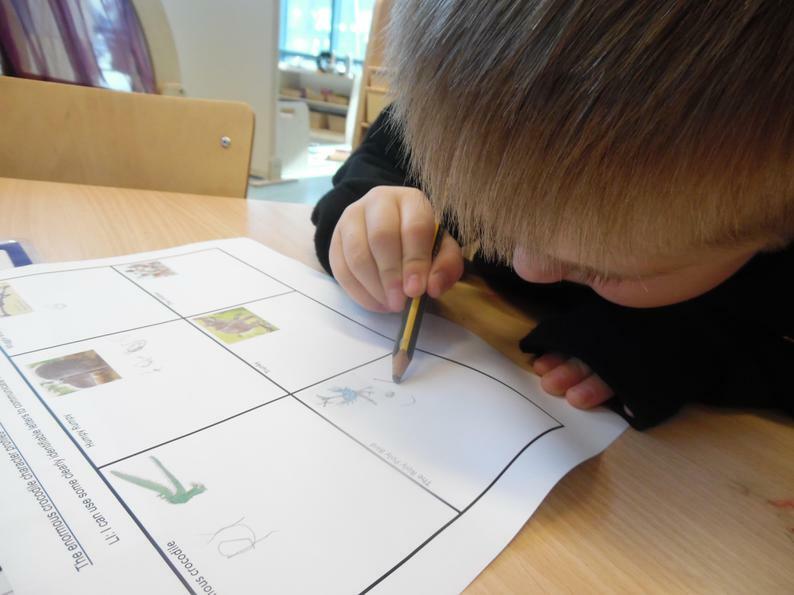 Some children created their own story maps during activities time. Our Literacy activity this week has focused on labelling a police officer's uniform. The children used the sounds they have been learning to write about what they wear. This week we have been looking at 'Little Red Riding Hood'. We have added actions to the story to help us remember what happens! As part of our activities we wrote letters to the hero of the story - the woodcutter. Some of the children wrote a letter from Little Red Riding Hood to say thank you for saving her from the wolf and some of the children wrote a letter from the wolf saying sorry for trying to eat Little Red Riding Hood. We worked very hard to sound out our words and write in pre cursive. This week we have been reading 'Superkid'. A story about a child superhero who helps to get his classmates out of horrible situations using his amazing superpowers. We focused on the vocabulary the story uses to help us understand exactly what was happening in the story. We discussed some of the characteristics of Superkid. During activity time we used adjectives to describe some other heroes we know. 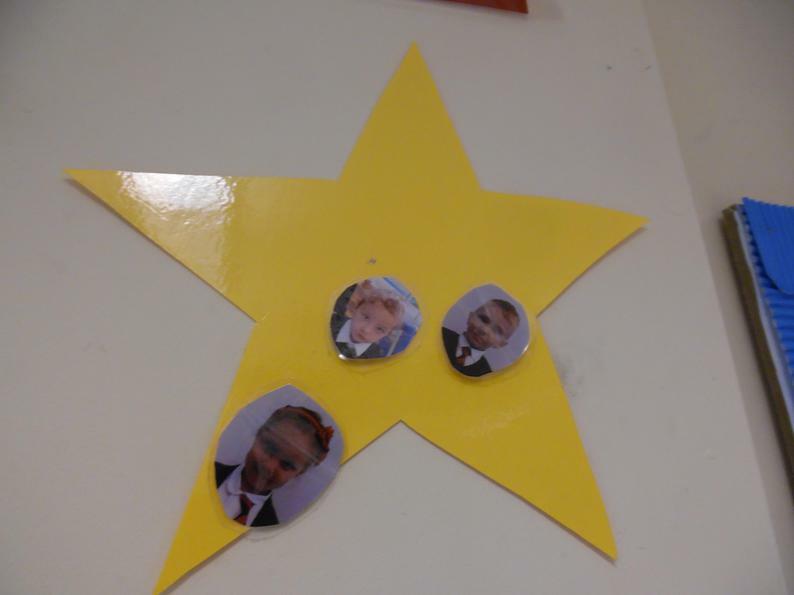 The children came up with some wonderful ideas such as: brave, helpful, kind and strong. 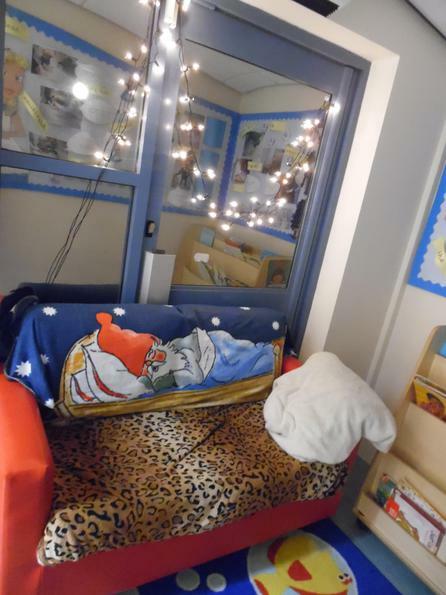 This week the children have been reading the story "Father Christmas needs a wee". 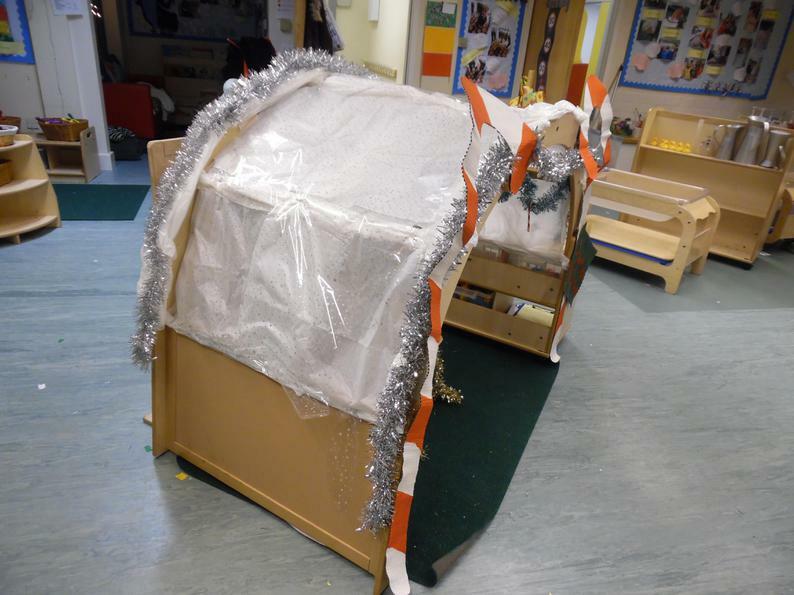 We have used the story to explore counting forwards and backwards to 10 as Santa visits houses 1- 10 but forgets to drop off the presents! This means he has to go back and deliver them all! We also received a very exciting letter from Santa explaining that he has not yet received our Christmas list! Don't worry though, we wrote one together and posted it to the North Pole. We even made sure to tell him how good we had been this year. 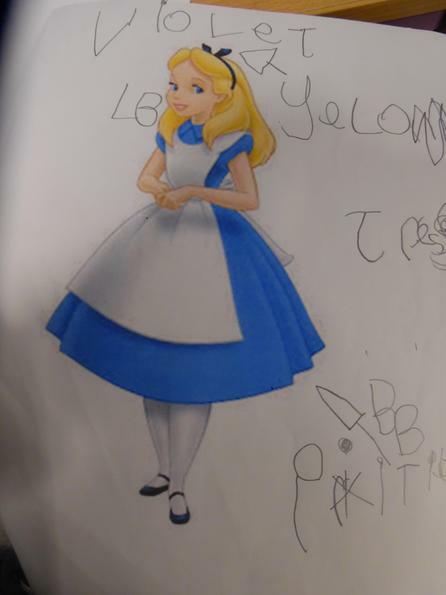 This week we have been writing invitations for Alice to come to our tea party. We have been practicing letter formation, initial sound recognition and in some cases early punctuation. 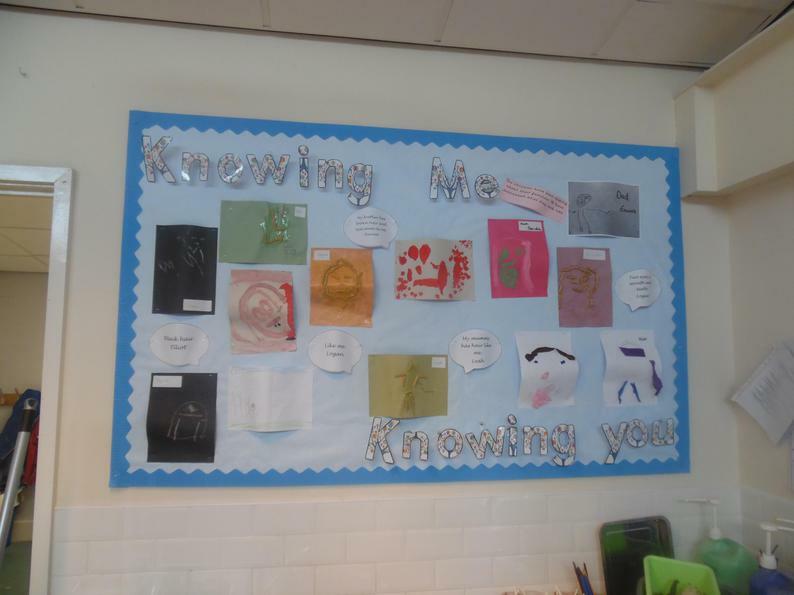 Here are some of the letters written by the children. 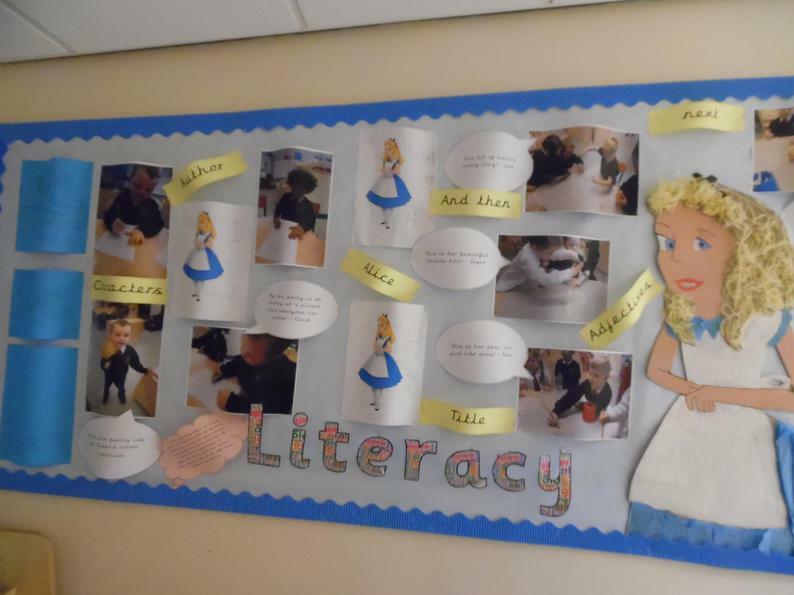 For the next few weeks we will be looking at the story of Alice in Wonderland as part of our 'It's a kind of magic' topic. This week we have been using adjectives to describe different characters in the story. 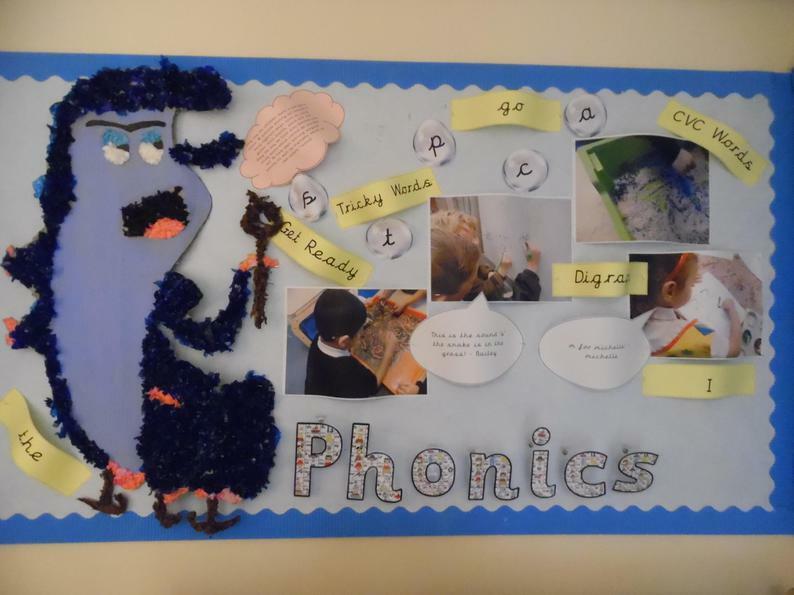 We have also created some of the characters for our new displays! This week we have been looking at a shorter version of the story 'Beware of boys'. In this story a wolf is told how to make various treats including boy soup, boy pie and by crumble (delicious). To do this he must follow a series of recipes. 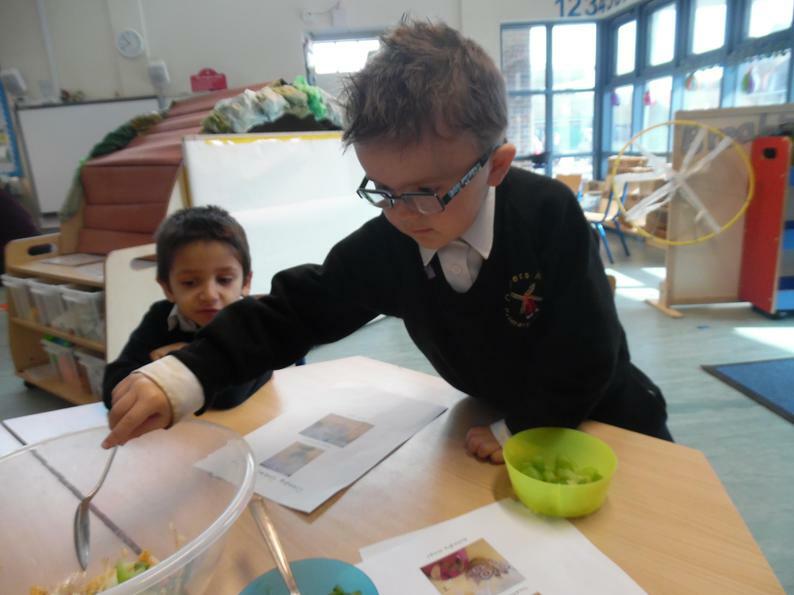 The children have therefore been focusing on how to write instructions, such as recipes, this week. We now know that instruction must be numbered, completed in order and specific. 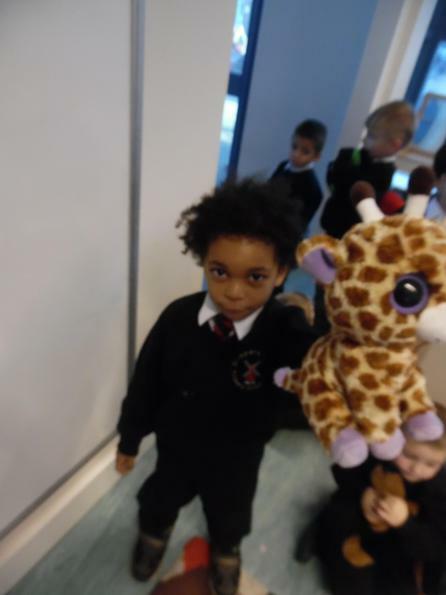 Kangaroo class followed instructions in a game of Simon says and helped me make a jam sandwich by instructing me on what to do. They were very helpful! Although, I did get quite messy! 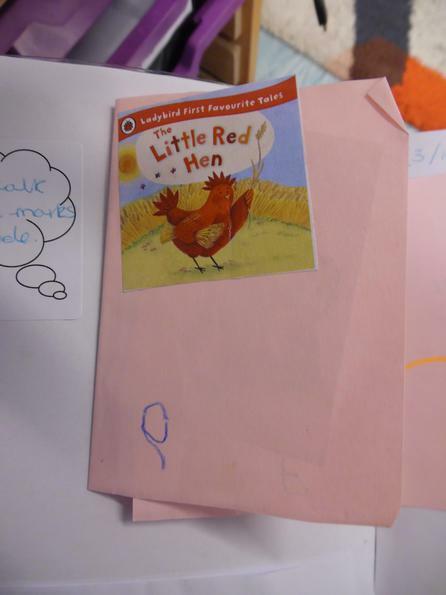 This week we have been reading 'Little Red Hen'. 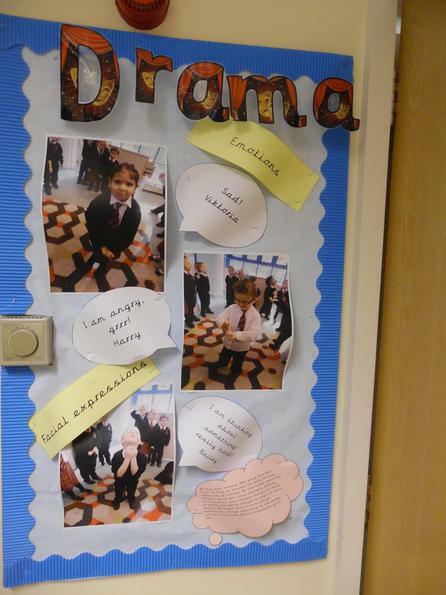 We have added actions throughout the story to help us remember what happens. Remembering what happens next in a story is one of our learning bug goals and we have been doing extremely well with this. 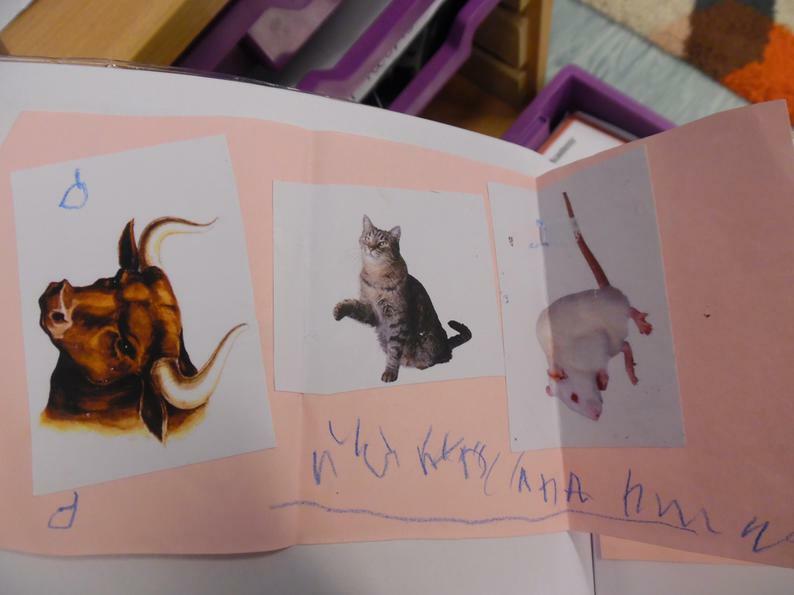 The children have made small zigzag book version of the story by ordering the characters independently and writing the initial sound of the animal name. We are becoming very good at letter formation! This week we have been looking at "Dear Zoo". Every day we choose a different animal from the story and describe its features. We have been using some brilliant adjectives! We even had a simile! 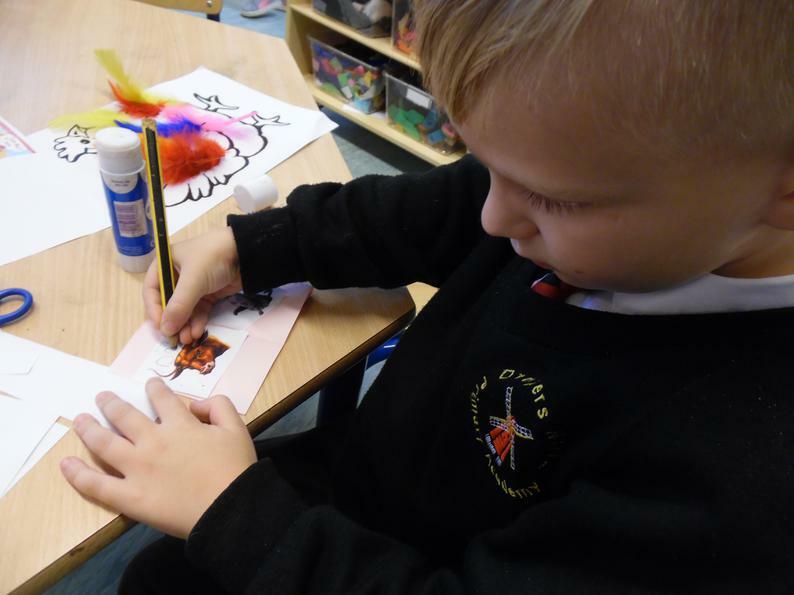 The Literacy focus this week was all about writing a letter to the zoo to ask for our own pet. 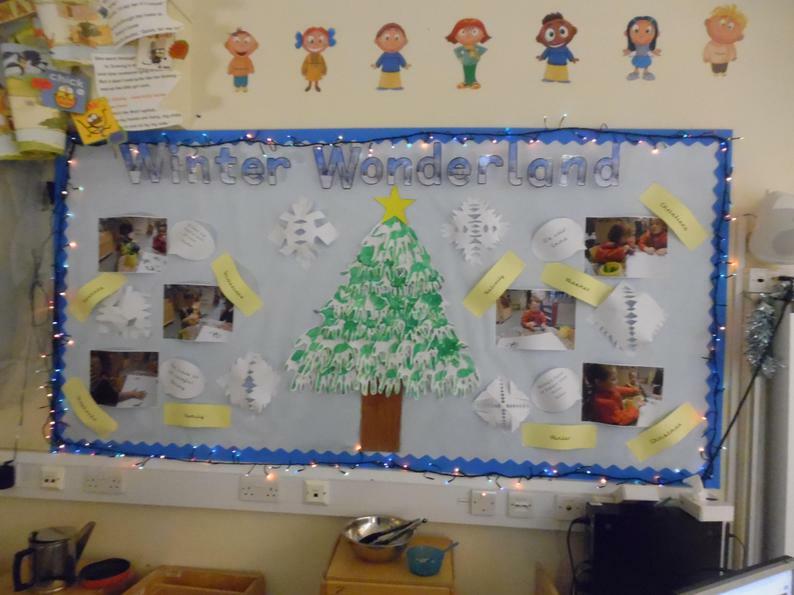 Here are some examples of the wonderful work produced by Kangaroo class! 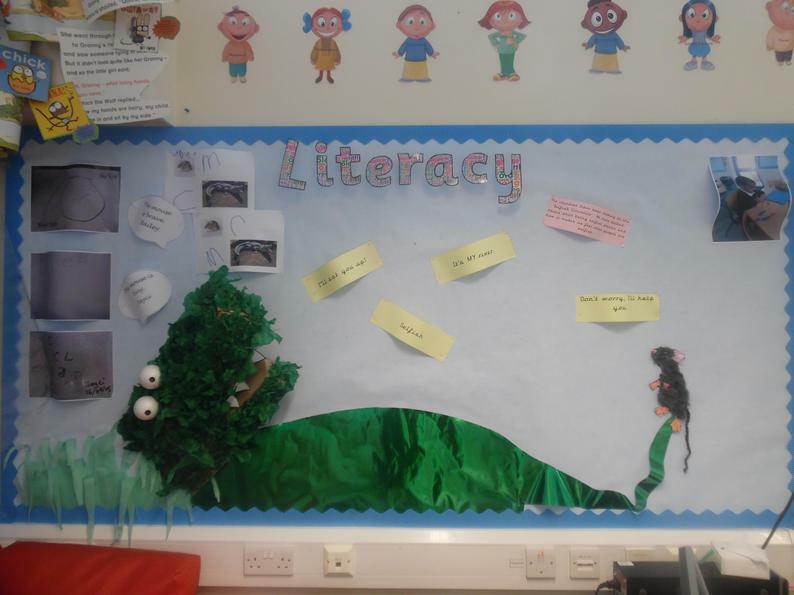 We have been reading 'The Enormous Crocodile' this week. We have been making story boards to remind us about the order of the story. We have also been thinking deeply about the characters in the story and trying to describe them by talking about what they look like, what they do in the story and how they might be feeling. 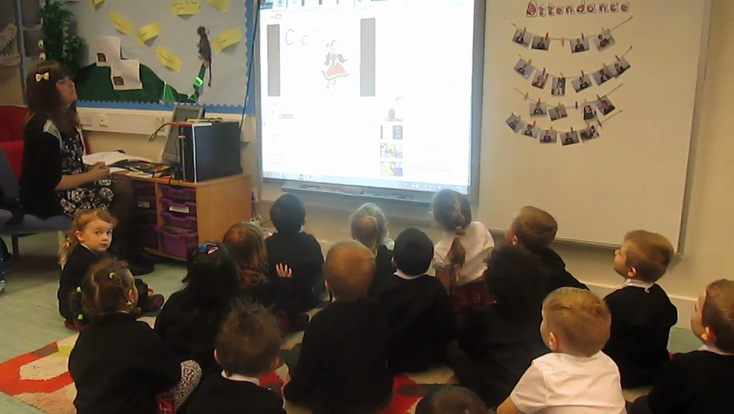 Some of our Kangaroos have even been writing the 'C' sound for crocodile! 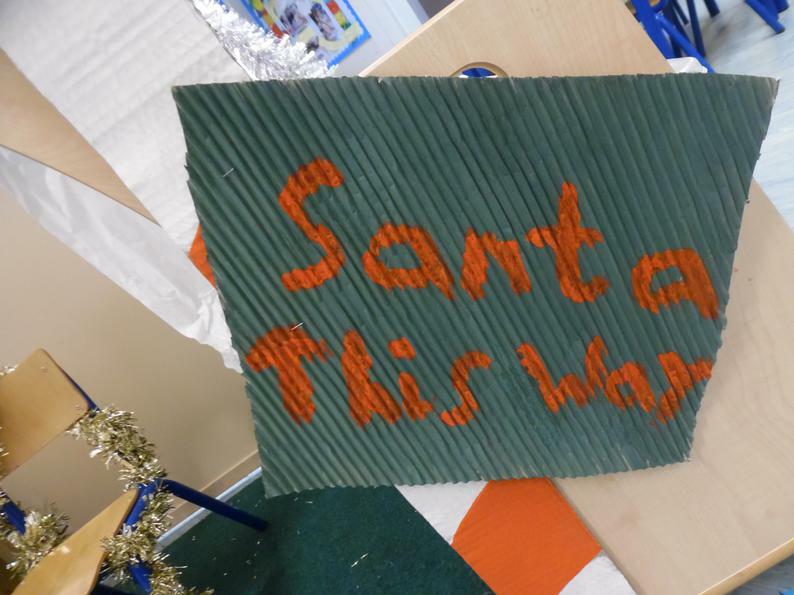 We have done this on whiteboards, in shaving foam in our sensory tray, in the sand and as part of our Literacy focused activity -Phew! 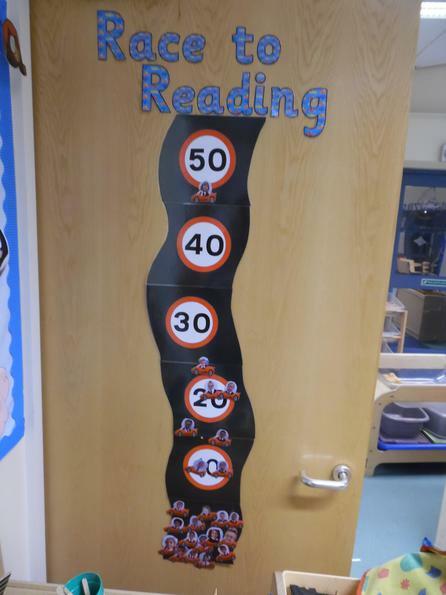 We have started our race to reading challenge. Every child gets a picture of themselves in a car which is placed on the road at 0mph. They then move up the road reaching certain checkpoints (10, 20, 30, 40 and 50) as they read. The reads are counted when they are recorded in the child's reading record. 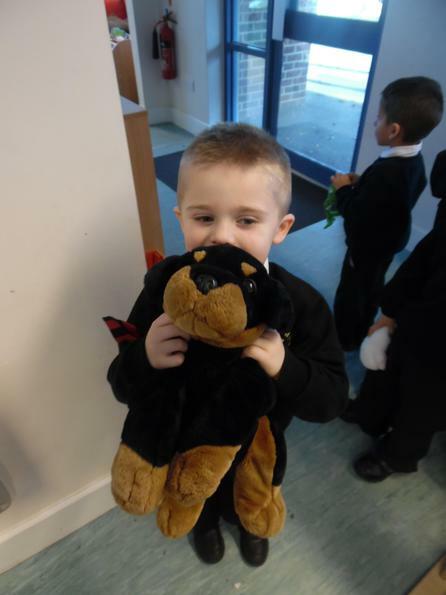 When the children reach 50 reads they are rewarded with a Red Ted. 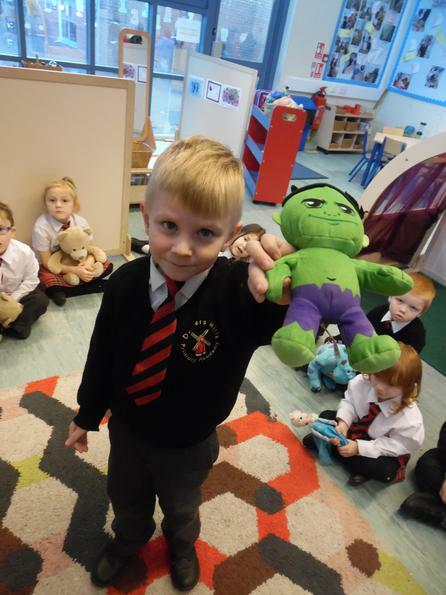 As further incentive to get reading the children have been made aware that some of their favourite characters have already received their Red Ted. In Kangeroo class we follow a behaviour system. 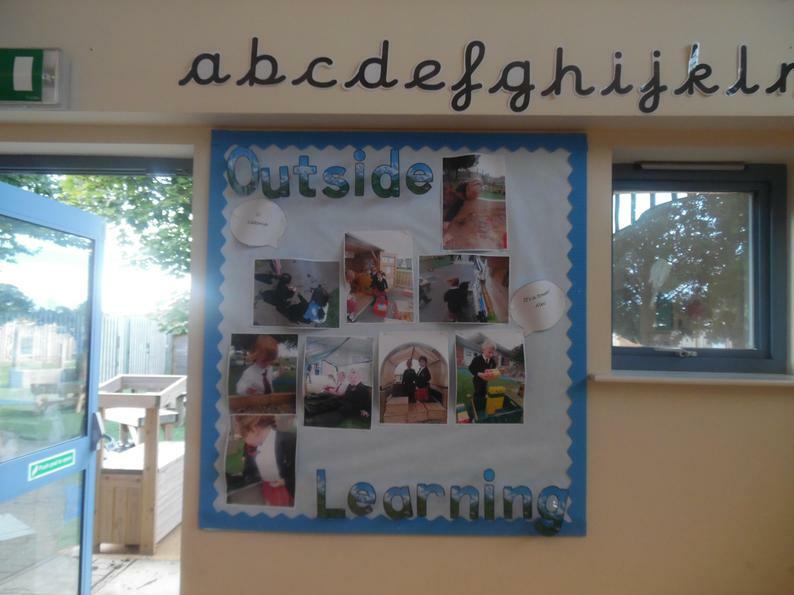 We start every day on the green and our picture moves up and down depending on the choices we make. If we make good choices then we get to move up to the star - and maybe even the windmill! But, if we make the wrong choice then, after we are reminded abut our class rules, we will move down onto amber. If we make another wrong choice we move down to red and have to have a time out, which is always very sad news. 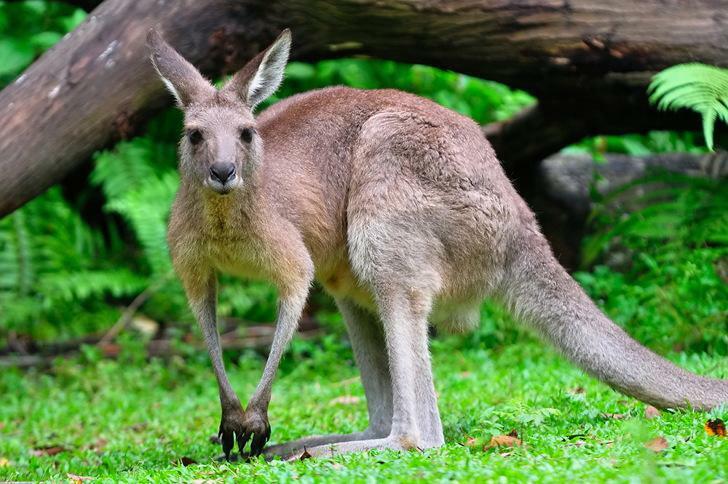 If at any time a Kangaroo intentionally hurts someone else they are immediately moved to the red and will have a time out because that is not acceptable in our school. We all want to feel happy and safe. Our behaviour system helps us to do that. If you have any questions please come in and ask me! Here are some recommended websites to help Kangaroos to learn at home!